Since it started in January 1966 with Number-1, the CARS newsletter has appeared regularly each month, resulting in hundreds of issues. Below are previous Centenary Editions. 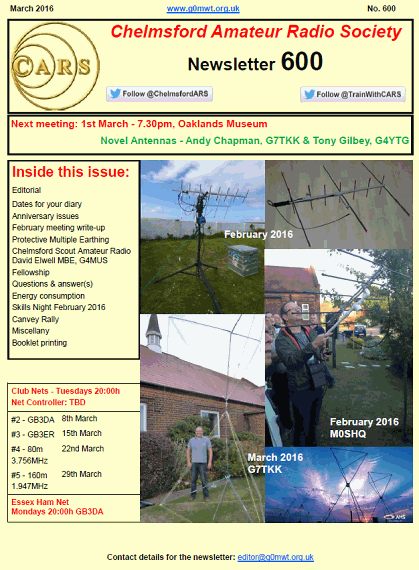 These reflect the change in the Society, publication technology and amateur radio over fifty years. Just click on the thumbnail image to download in PDF format.